Of all the things you need to do while and after starting your new business, choosing the business structure you are going to use for your business is the most boring. And amid all the excitement of starting a new business, many might make the mistake of putting it off for some time in the future. But you must remember that choosing your business structure early is important for many aspects of your business. Here, we will discuss all the initial details about the company business structures and how to choose or start the best business based on your needs and conditions. So, let’s dig in. 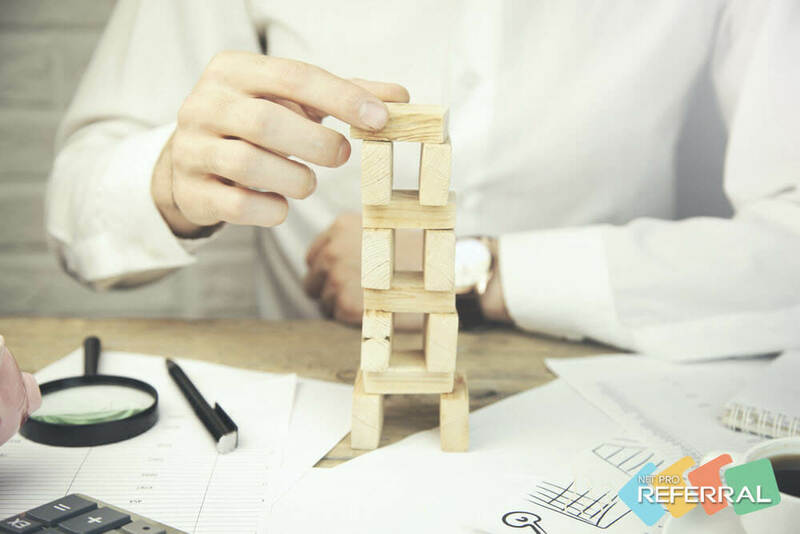 A business structure basically categorizes your business as a particular type bound by a specific set of rules regarding taxation, liability, administration and other issues. Your business structure will essentially set the criteria regarding how you will be taxed, how your business will face lawsuits, debts or other legal issues, how your business will manage partnerships or investments and many more organizational aspects of your business. So, setting up a business structure early based on your business goals is essential to realizing those goals in due time. Let’s get an introduction to each of the types of business structures here. It is the simplest form of business structure. It doesn’t require a lot of paperwork and is great for small businesses who are looking to stay small for some time. It means that you alone will be the owner of your business and will not require any further legal drafting regarding complex partnership deals or any other structural complexities. You will be fully liable for your business and your business profits will be taxed as you own earnings. Therefore, it also means that if your business ends up facing lawsuits or any financial claims, you will be solely responsible, and your personal assets can also be targeted by the parties who are seeking compensations or damages. Partnership is similar to sole proprietorship, but different in that, in this structure ownership and liabilities of the business are divided among a set of partners - persons or other business. The terms of partnerships are usually written down and agreed upon from the beginning. The profits from the business pass to the partners and taxed as their earnings. The liabilities too are divided among partners. This business structure also does not save your personal assets from being targeted while faced with financial obligations. A limited liability company (LLC) structure is the middle ground where you have some features of corporation structure as well as some of the sole proprietorship structure. LLC allows you to separate yourself from your business. As a result, your personal assets are protected in case of financial claims or other legal issues. On the other hand, your business enjoys pass-through taxation where the profits pass on to the owners and taxed as their income. S corporation also known as subchapter or small business corporation is similar to LLC but suitable for business with larger number of shareholders. S corporations may have one class of stocks and less than 100 shareholders. Like, LLCs these are taxed at the shareholders level and shareholders have limited liability. So, their personal assets are separated from the business. However, in the case of S corporation, shareholders must be US citizens and residents. This business structure is suitable for the largest companies or organizations. Almost all the Fortune 500 company is set up as a C corp. Under this structure, your business profits are taxed at the corporate level and if you or any of the shareholders take out the profits, by means of dividend distribution or others, then that profit will again be taxed in their personal tax returns. Running a business under this structure requires lots of paperwork and other regulations. The ownership is determined by the issuance of shares. A board of directors elected by the shareholders runs the management. Corporations must hold annual meetings both for the board of directors and for the shareholders. Now, we have gone through all the introductory details about the types of business structure that we have at our disposal. So, let’s now have a look at the crucial factors that we should consider while choosing the best business structure for our business. Do you want to keep your personal assets protected from business risks? If yes, then anything other than sole proprietorship and partnership is your thing. Based on the size and complexity of your business you can choose anything from LLC to C corporation. Do you want your business structure to be simple? If you want to protect your personal assets but also like to retain the simplicity of a sole proprietorship then LLC is the thing for you. In the case of corporations, a lot of paperwork is involved, and it is much more complex to run and manage. How would you want to be taxed? It is the most important thing to consider. How you want IRS to tax your business profits? If you want to have the pass-through tax treatment, where your business profits are directly passed to you and then taxed as your income, then choose - sole proprietorship, partnership, LLC or S corp depending on the size of your business. How much complexity are you okay with? If you opt for non-corporation structures, the paperwork and fees are very light. You can easily manage those by yourself. But as we have already said that the corporations usually require board of directors, annual meetings for shareholders and the board along with a lot of paperwork, you will definitely need a lawyer and accountant to help you out with these. Where do you want to see your business in future? If you dream big for your business and want to see it as a fast-growing company that will be publicly traded in the near future, then C corp is your thing. C corp allows multiple classes of stock and various types of shareholders allowing to take in investments from various sources including the venture capitalists. Do you want to offer employee benefits? In case you want your employees to have all the employee benefits like health plans, retirement plans, life insurances and other benefits, then corporations will be best suitable for you. Incorporated business structures allow tax exemptions over such expenses. So, these are basically all you need to know about choosing the best business structure for your new business. However, you must consider that the information here is introductory and generalized. So, for an in-depth analysis of your present business condition, it would be a great idea to consult with a business attorney and a financial advisor in person.